In the Coen Brothers movie “The Hudsucker Proxy” the hero introduces his brainstorm, the hula hoop, to an uncomprehending Board of Directors, saying: “You know, for kids!” In a world where cycling seems dominated by Middle Aged Men in Lycra on $12,000 bicycles and where helicopter parents drive their children two blocks to school in giant SUVs, maybe we should remember that for many of us cycling gave us a whole different outlook on life when we were children ourselves. 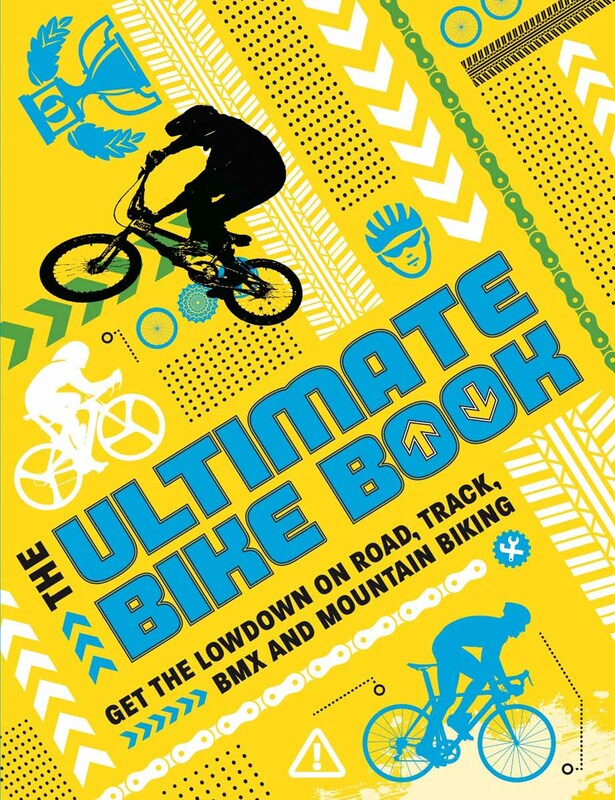 “The Ultimate Bike Book” is a title that is a trifle overpromising (and seems a bit too close to 1998's “Ultimate Bicycle Book” by cycling icon Richard Ballantine, but that's another subject) and its cover commits that it will “get the lowdown on road, track, BMX, and mountain biking.” Yet this attractive little publication designed for children aged 7 and older delivers to its target market. In 50 pages of colour text and illustrations, the book provides a great deal of information to a child, who will learn about the different types of bicycle, including some offbeat types, along with a clever historical timeline (which, regrettably, includes the celefiere, which the French back-datedly invented to prevent Baron Drais getting credit for his two-wheeler). The next three chapters are particularly useful to the beginning cyclist and I would have appreciated this information myself when starting out long before the Age of Lycra. 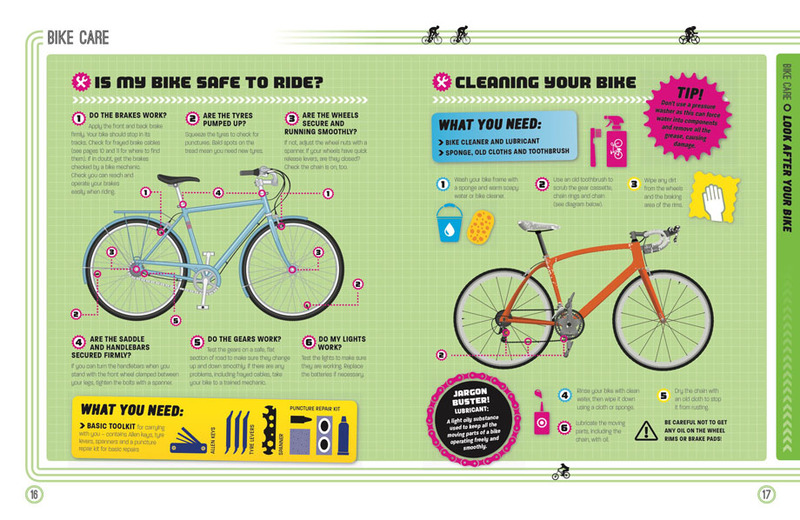 There is an illustration of the bicycle naming all of its parts; a guide to clothing and accessories; and, most valuable for harried parents, explanation as to how to maintain your bicycle, ensuring it is safe to ride and in good working order as well as clean. When living in Germany, I noticed that the school across the street from my apartment had a playground with a road marked on it. I saw that the children brought their bikes and went through a whole series of drills with instructors about safe cycling. This was done quite seriously and over several days (well, that's Germany for you) but would have been wonderful for those of us who had to figure all this out on our own. 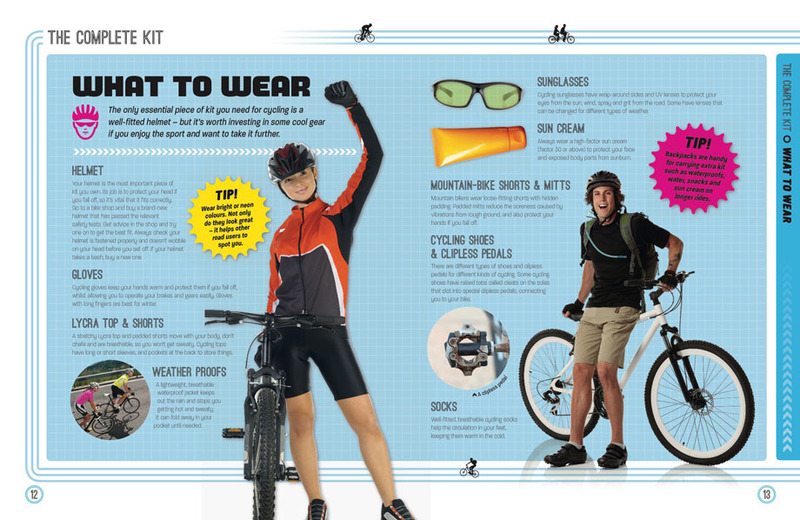 The book has a good section on safe cycling, covering basic skills from shifting to braking to riding downhill and dealing with weather. Cycle sport has come a long way thanks to enhanced broadcasting and the Internet but in many places it is still considered a marginal sport so it is nice to have some guidance here on how the Tour de France works—and how to win!--and even a mention of the rising pro women's circuit. As the book is British, it recognized the terrific success of rides from that nation on the track, with several pages on velodrome sports. BMX and mountain bike racing are also covered. There is even a little board game of a mountain bike race for entertainment. 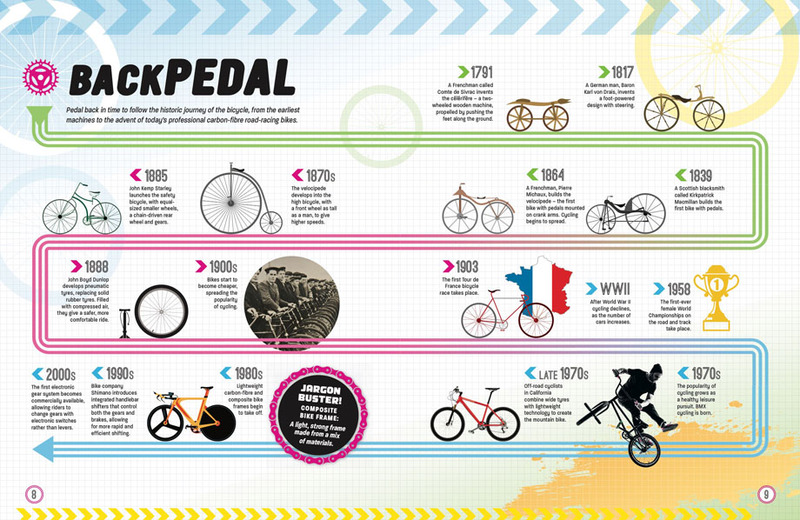 There is a page about cycling records and another showing how bicycles are used around the world. 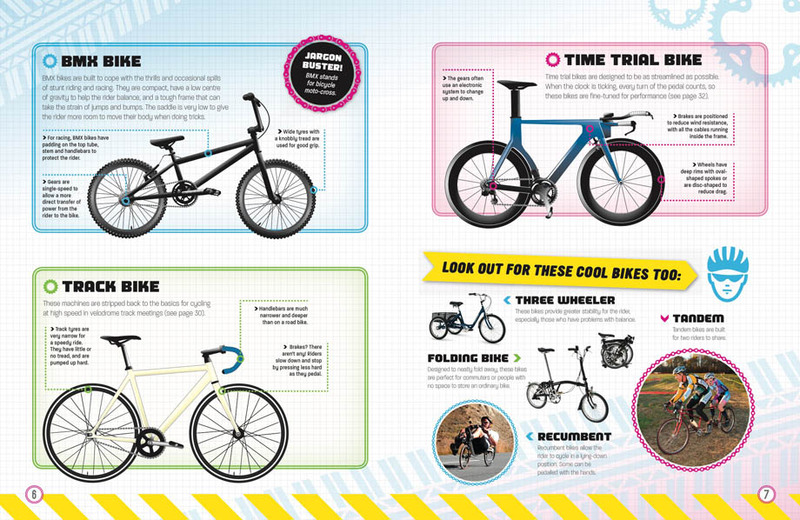 Future bicycles are not overlooked either and will certainly stimulate some thought in creative young minds. There is more interactivity as the book lets you set up an imaginary team with its own name, star rider, sponsors, and bike with team colours. The best part is getting to design your own jersey, something that has kept me quietly occupied for several hours I will admit. 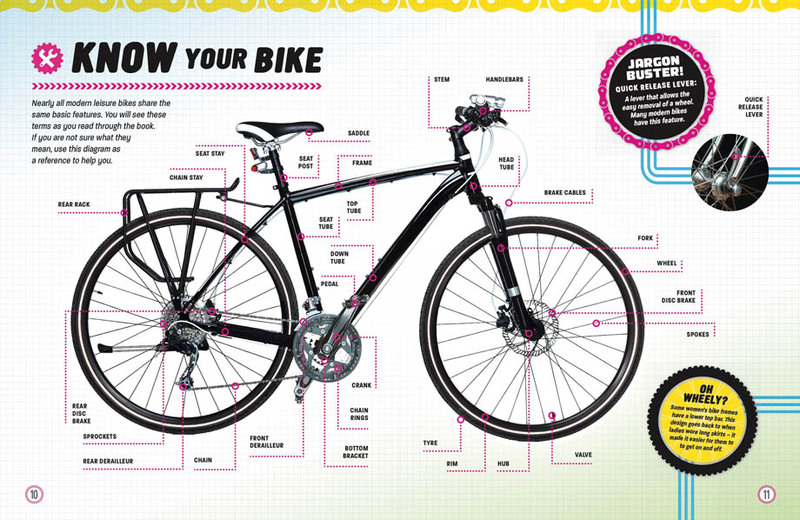 There is a 10 question quiz at the end and the final page allows for personalization, where the child can keep a record of his or her own bicycle, including putting in a photo. 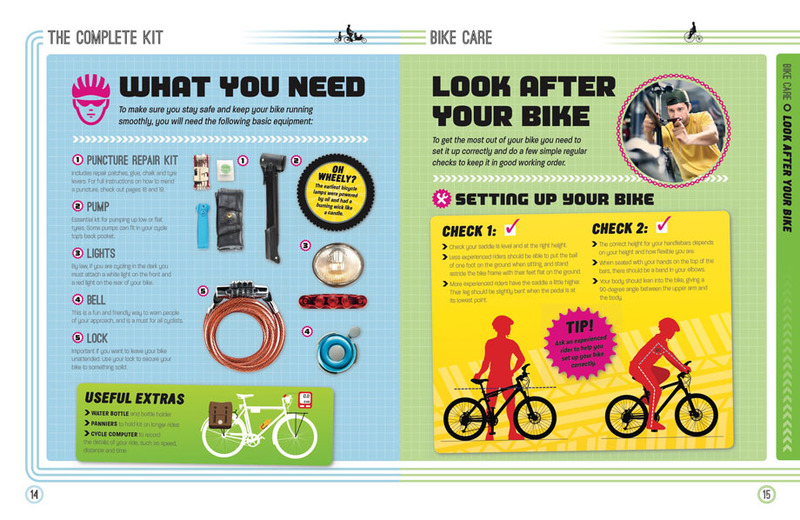 “The Ultimate Bike Book” is an excellent primer for a child just starting to ride but also wanting to know more about the pastime and sport. It is attractively done and will provide not only reference on how to fix a flat but also raise questions and provoke further investigation into the wide world of cycling that has brought so much to us. This book (you know—for kids!) is a start. It does not talk about the emotions of cycling, the feeling of independence, and speed, and freedom that never really leaves us. But maybe that is something for a child to discover alone. 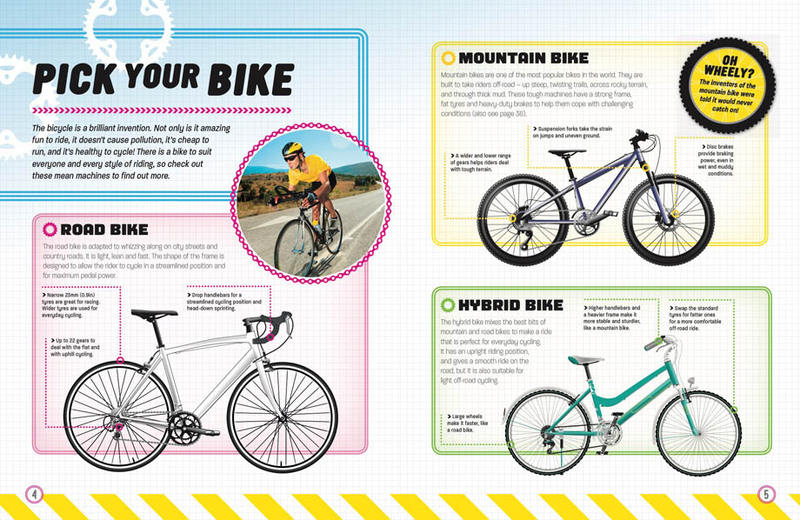 You can buy “The Ultimate Bicycle Book” by Carlton Kids UK at AMAZON.COM. When not living proof of the saying “Get your child a bicycle and he will never have money for drugs,” Leslie Reissner may be found making bicycle history at www.tindonkey.com.